There is perhaps no other gubernatorial administration in the nation that has seen its internal deliberations so heavily scrutinized and investigated by the press with so little resulting from those repeated inquiries. The latest tantalizing morsel of controversy emanating from the Christie administration involved a brand new federal investigation, which some suggested could finally and for all time bury the New Jersey governor’s presidential aspirations. 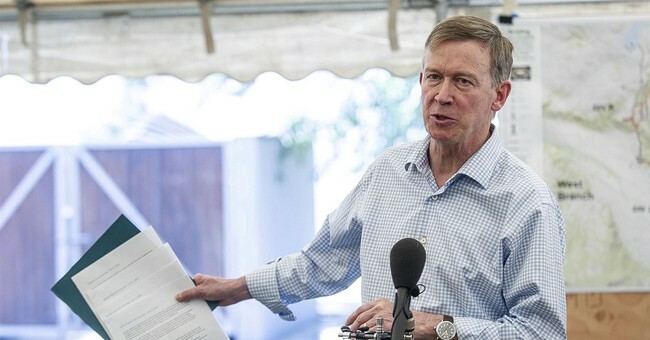 The governor’s office dismissed Barlyn’s charge as “conspiratorial nonsense,” but the revelation that a new federal investigation was opening prompted a slew of media figures to assume the worst. “How many investigations does it take before a popular governor is no longer treated like a viable presidential candidate?” New York Magazine’s Margaret Hartmann rushed to judgment. “The Barlyn news breaks in the same week as headlines about Christie’s tanking poll numbers in New Jersey – including losing his home state to Hillary Clinton in a head-to-head 2016 matchup – along with his equivocations on vaccinations and evidence that he still hasn’t completely licked that thin-skinned, hair-trigger temper-tantrum thing, especially with the press,” wrote Joseph P. Williams in U.S. News. Perhaps least surprisingly, Rachel Maddow’s MSNBC program has been all over this, as well as a slew of other conspiratorial allegations involving misconduct out of the Christie administration. In an investigative post on this latest federal probe, Maddow’s producer, Steve Benen, noted that the governor’s office denies the charges. But that’s exactly what a guilty man would say! Amid their unconcealed zeal in the pursuit of the premature demise of the Christie administration, Maddow noted on Friday that her team had been doing some further digging into this federal investigation. After bringing up a variety of charges against Christie that yielded precisely no concrete evidence implicating the governor – including “bridgegate” and the claims that Hoboken and Jersey City’s mayors were stiffed on disaster and development aid for petty and political reasons – Maddow conceded that this alleged federal investigation is yet another dead end. That’s right. There is no federal investigation. It makes you wonder when the nation’s newsrooms will collectively resolve to no longer allow themselves to be manipulated into covering stories that play to the caricatured preconception of Christie as a vengeful, Machiavellian villain. If the national press spent a third of the energy they devote to investigating Christie on looking into the affairs of Oregon Gov. John Kitzhaber’s administration, perhaps he would not be facing so much pressure to resign today. He may not have won reelection with a mere plurality of the vote or declined to run for reelection in 2014 at all. Then he might have spared his state, the party he represents, and the nation on which he reflects a lot of embarrassment. The inclination shown by the press to leap to the conclusion that the miscreant Christie was embroiled in potentially criminal controversy without checking the facts makes you wonder if the media is even capable of covering Christie fairly as a presidential candidate.